Kepada yang masih mencari kelas kraf untuk memenuhi masa lapang atau bercadang untuk menambah pendapatan sampingan, mari sertai kelas asas decoupage pada 16 April 2017, hari Ahad jam 2-5 petang. 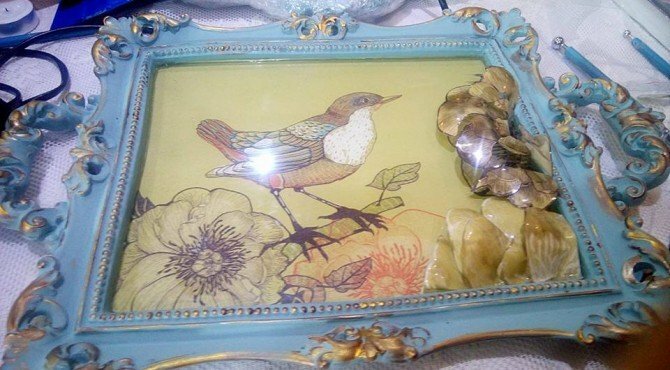 Anda akan diajar teknik asas seperti mewarna permukaan MDF atau pinggan seramik, menggunting dan menampal tisu decoupage serta teknik tambahan untuk mencantikkan lagi hasil kerja anda. Yuran promosi untuk kelas kali ini hanya RM60. Yuran akan dinaikkan kepada RM100 selepas ini. Tenaga pengajar berpengalaman mengajar asas decoupage semenjak tahun 2007. 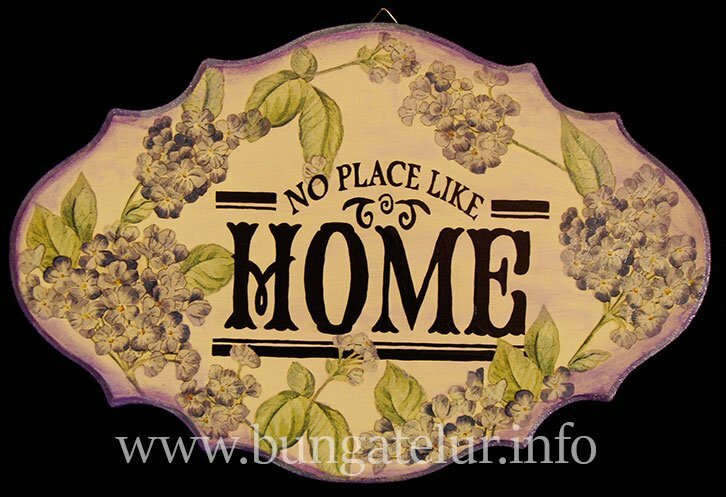 Sila tinggalkan komen bersama email yang sah untuk kami hubungi atau boleh terus berhubung melalui Facebook – BungaTelur.com. I found the Pull Out Art Pad which I bought last year while cleaning up and decided to color this picture. Since I haven’t done any watercolor coloring for quite some time, plus I need to try the new Pentel water brush I thought the flowers will do for now. I thought of coloring birds or butterflies but since I am better with leaves and flowers, so here it goes. I guess it will take another few days for me to finish this piece. Oh, the Pentel water brush is quite good except the water flow seems to be more fluid compared to Sakura Koi water brush. I need to dab the brush on tissue paper a few times before I could start coloring. 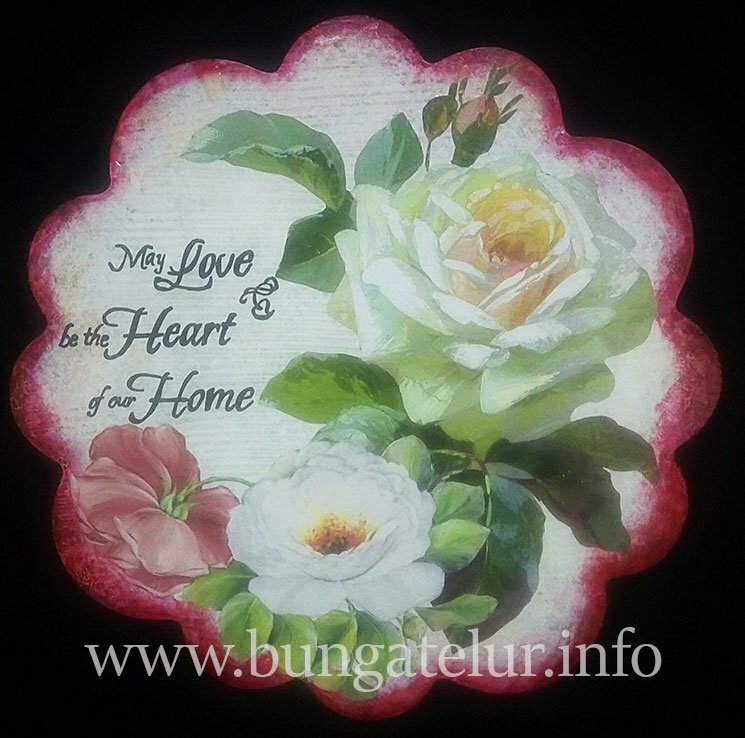 This year I managed to attend a Pop Up decoupage class conducted at Suni Art and Craft Studio. They have invited a decoupage teacher and business owner, Stephanie of Kay & Me Stories from Indonesia to come to Malaysia to teach. The Pop Up decoupage basically still use the same concept of cutting and pasting the image. Instead of pasting the image directly onto the surface, we glue the image onto a plastic film to create the pop up. 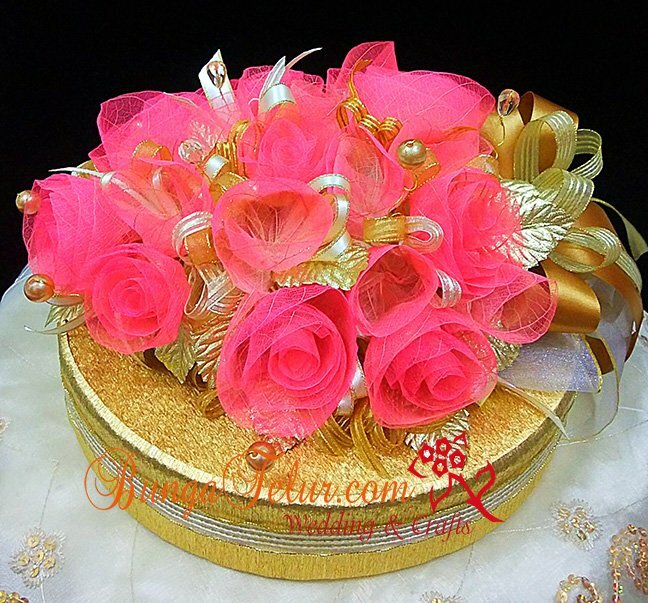 The plastic will be heated using candle and once the surface become hot and pliable to mould, we use the stainless steel ball roller usually used in fondant or clay flower making to make the curvy shape. Once we are satisfied with the shape, we use hot glue to glue the pieces onto the surface. In this class we use a ceramic tray. 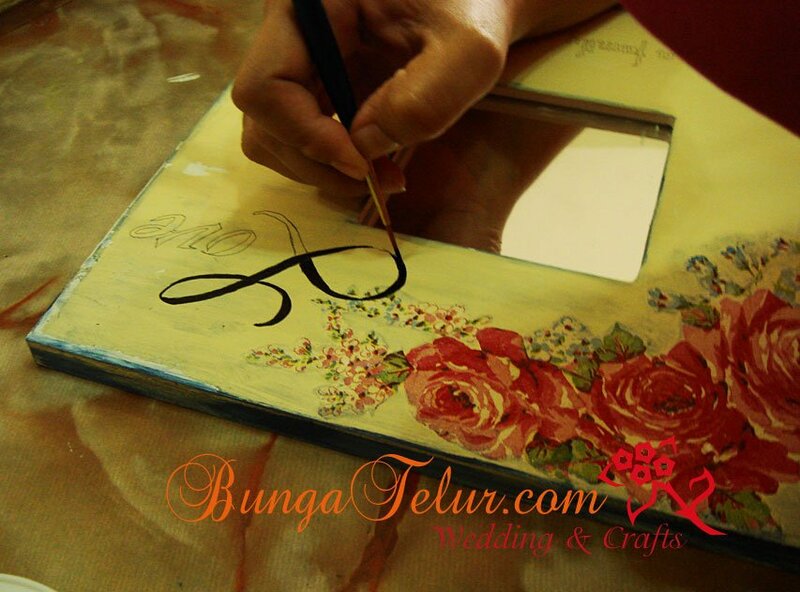 Overall it was a great experience to learn a different type of decoupage. I need to practice more to be able to get a nicer arrangement. 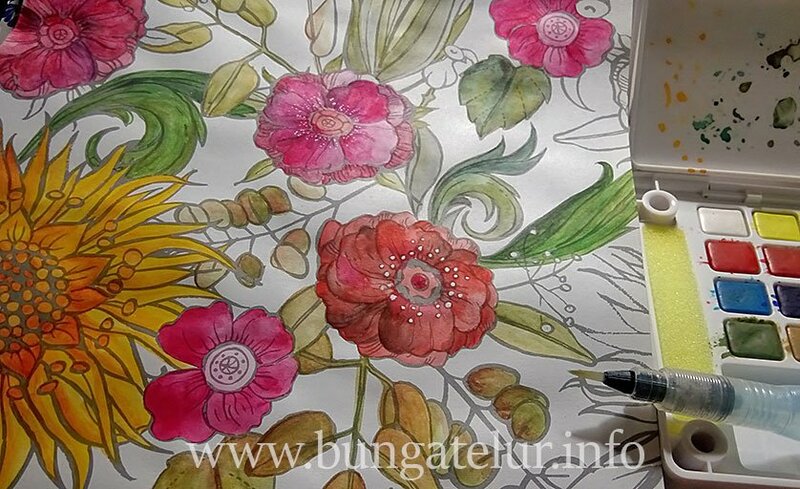 It’s been a while since I made a complete set of bunga pahar for a wedding. This time I made this from the bunch of artificial roses I have in my craft room. It’s for a friend’s brother’s wedding in March. The initial plan was to just use whatever leftover ribbons I have but I was short for a few rolls. I was shocked to see the new pricing for bunga telur materials in the market. I guess with the currency exchange rate and the downfall of Malaysian Ringgit value, this price hike is just inevitable..sigh! 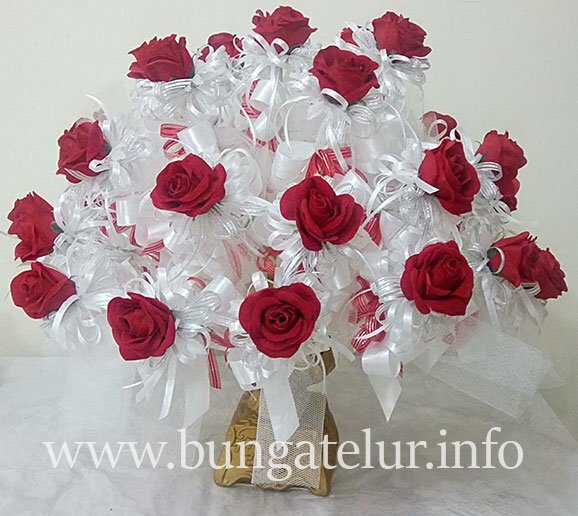 Anyway, I just can’t wait to see how this red rose bunga pahar will look like on the pelamin. Will update once I managed to get a picture or two from the wedding. After watching demo on Youtube and reading reviews, I’ve decided to buy Sakura Koi Watercolor which comes with a water brush. 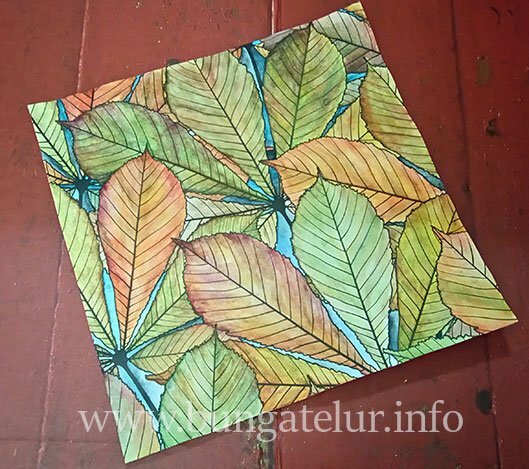 I tried coloring this page of leaves from the coloring pad I bought earlier but the paper is quite thin and it warps as I color. 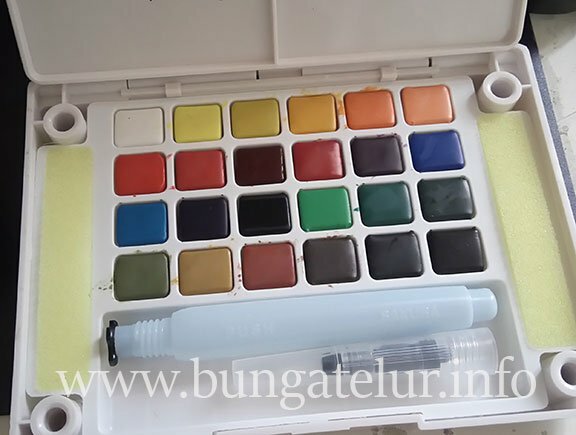 Maybe this is why artist use special watercolor paper to make sure the final result would last better. 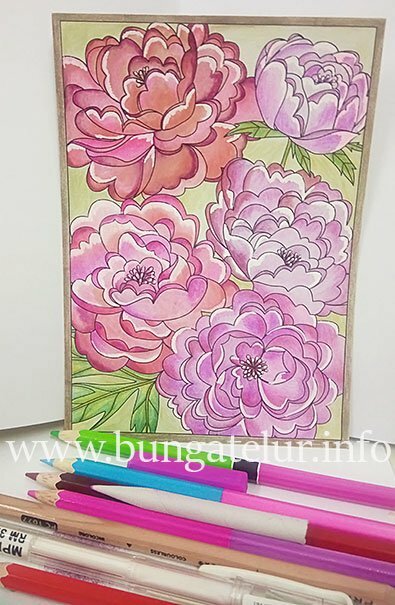 It was quite fast coloring using watercolor compared when I use other mediums like pen or colored pencils. 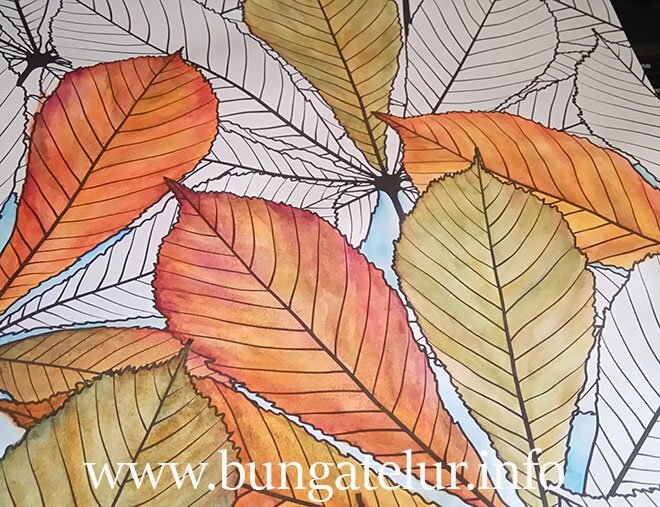 It took me about 4 days to complete the whole leaves and the background. 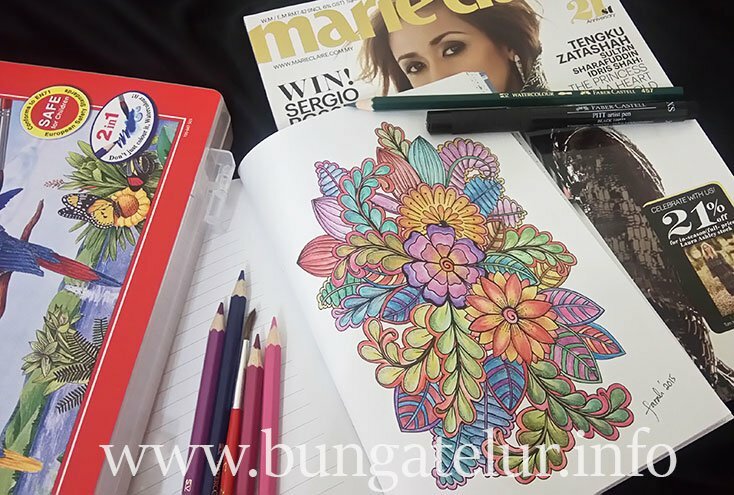 It’s the adult coloring frenzy worldwide now. Since the magazine Marie Claire gave away a free notebook with coloring pages I decided to give it a try. The rules of the contest is to use Faber Castell product. Since I never have watercolor pencils, I bought a box at MPH. Not sure how the result will be announced but this is a good motivation for me to start coloring and finish a page.